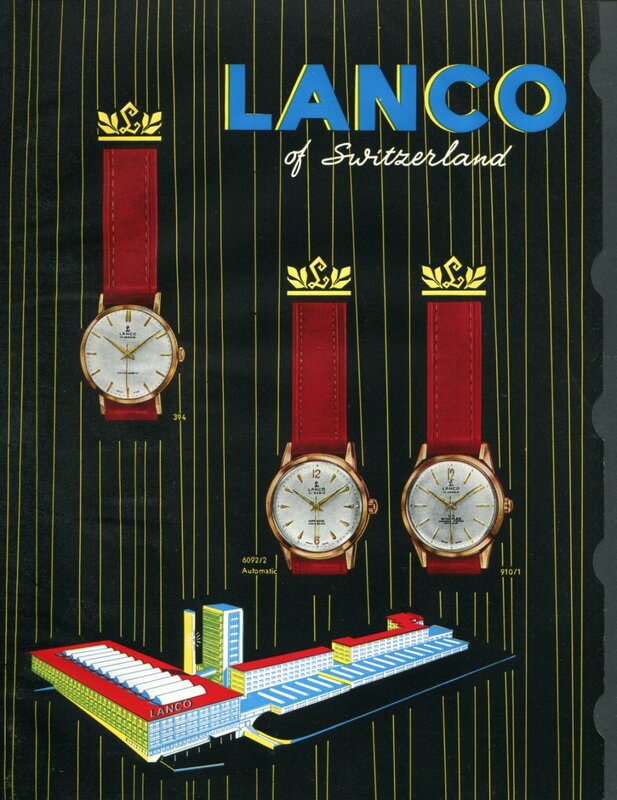 Original full-page Swiss magazine advertisement from the year 1958 for Lanco Watch Company, Lanco of switzerland, Langendorf Watch Company, Langendorf, Switzerland. The advertisement was carefully removed from a Swiss magazine. "Chief agents for India and Middle East: Gupta & Goel Bombay"
"If you need pin lever watches, buy the famous Larex made by the same manufacturer"
Please READ THE FULL DESCRIPTION for an outline of condition issues. The page measures approximately 7 5/8 inches wide by 10 3/8 inches high (including margins, if any). PLEASE NOTE: There are a number of bends and/or wrinkles on the page. (Please see accompanying photo.) The ad is in FAIR overall condition. There also are small cut-out notches along one page edge.